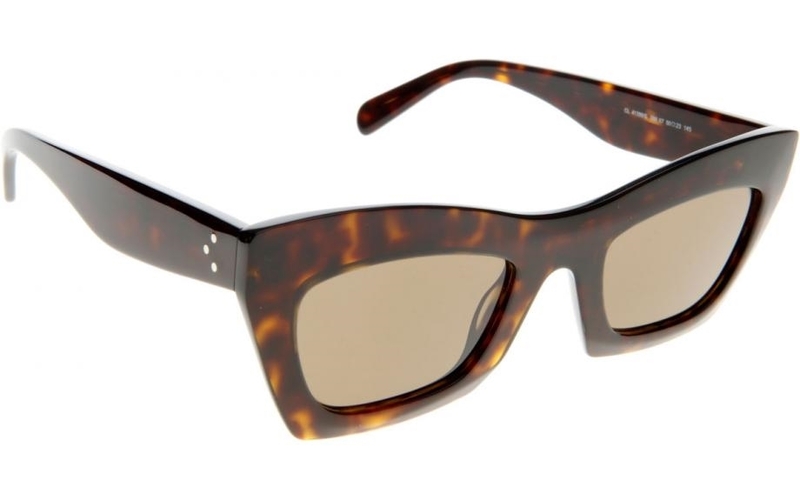 CELINE TAKE ON THE REWORKING OF THE CLASSIC CATSEYE. THE EVA IS A SMALLER THAN NORMAL CELINE STYLE HOWEVER STILL STICKS WITH THE BRAND ETHOS. SIMPLE STYLISH AND WEARABLE. SURE TO BE A HIT WITH CELINE FANS ALL OVER. Minimal logo on the arm, and 3 panel pins feature on the temporal part of both the front and the arm. The sunglasses are made from the finest Italian acetate. Each sunglass comes with its own branded case, cloth and packaging, and covered by the 12 month no quibble sendoptics guarantee.